Douglas Deeps Radio Show #19 07/08/15 – Macerated Beats 3 – Straight Outta Ideas ! The Shed Collective this month on boxfrequency.fm is all about the Hip Hop. Macerator splices together some of his favourite beats for your enjoyment. 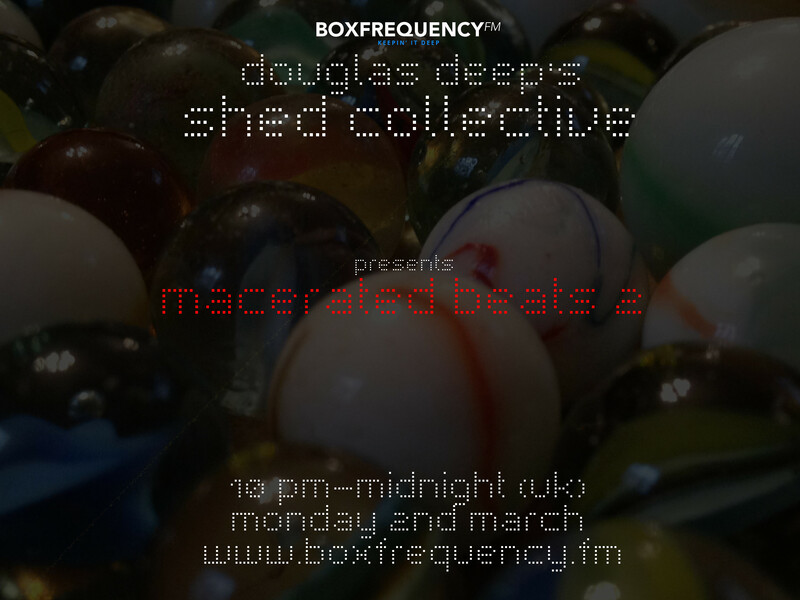 Macerated Beats part 2 on Douglas Deep’s Shed Collective. The shed collective returns with a selection of Hip-Hop, Breaks and Techno.